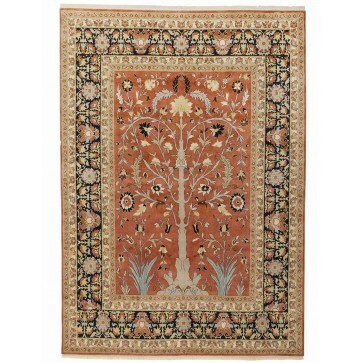 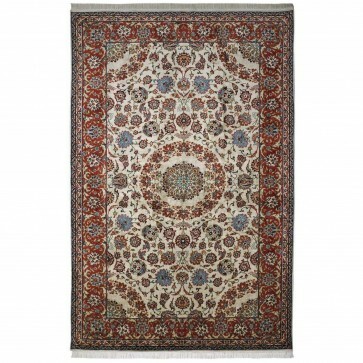 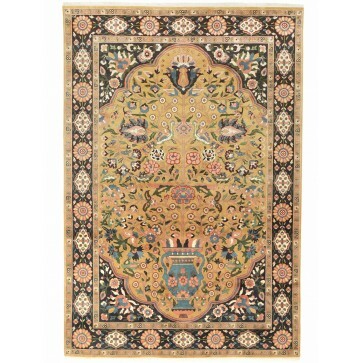 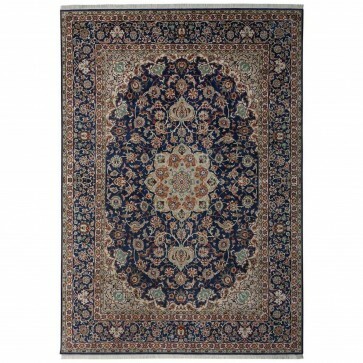 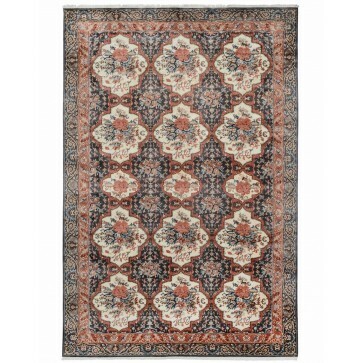 A paradise design carpet based on a 19th/20th Century Yazd original, with pure silk pile hand woven on a cotton foundation to 256 knots per square inch. 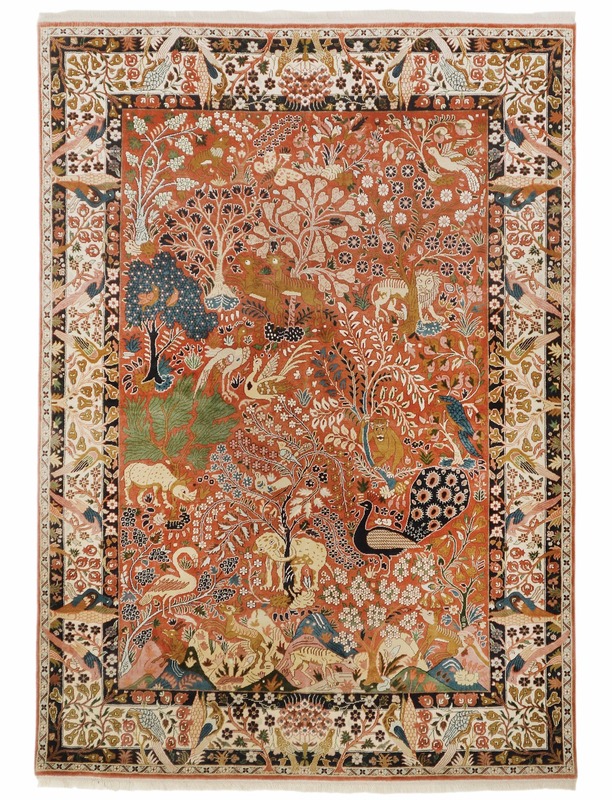 A paradise design carpet based on a 19th/20th Century Yazd original, with pure silk pile hand woven on a cotton foundation to 256 knots per square inch. 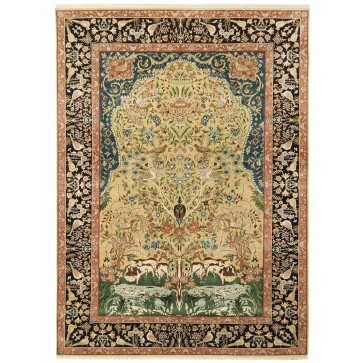 In this design even the border is taken up with the Garden of Eden right up to the outer edge. 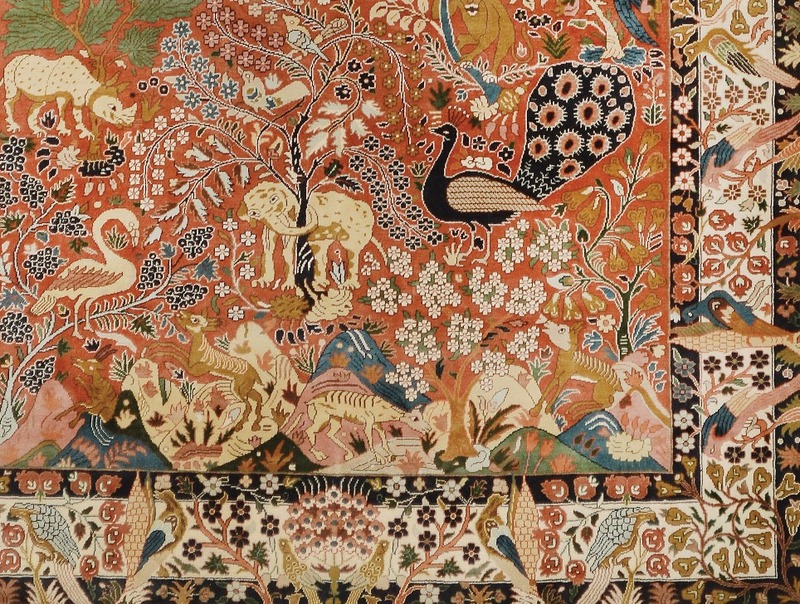 In the effulgent naturalistic representations of the animal and flower world, their composition and its elegant colouring suggests it dates to the turn of the 19th/20th Century. 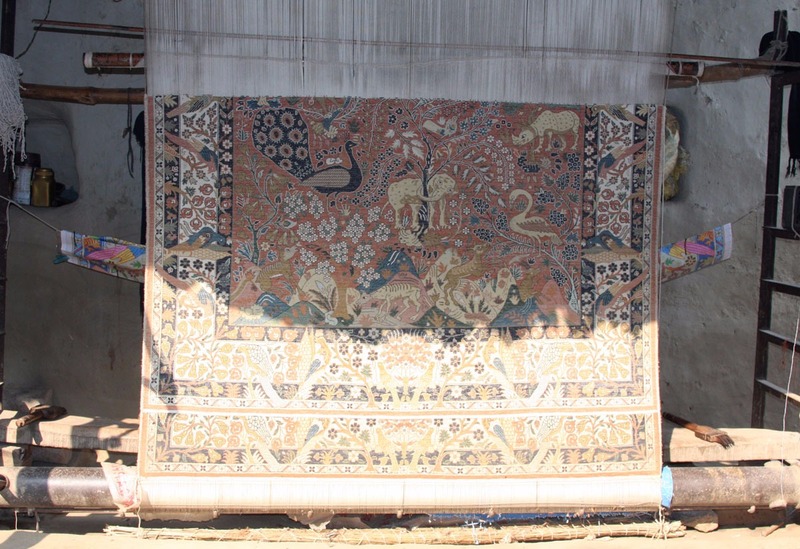 This hand knotted silk carpet represents approximately 4 months of man-hours to weave in addition to the time consuming drafting and finishing processes.